We offer a SPI eradication service for your home and business. The term Stored Product Insect (SPI) refers to any insect that infest stored food products such as flour, cereals, nuts, pet food etc. These insects are mainly comprised of beetles, moths and mites. They can be introduced into home and business via contaminated products and can soon multiply their numbers and spread to other areas. The key to eradication of these pests is early intervention and treatment. We specialise in identifying and putting in place the most appropriate treatment method. When an infestation is discovered, the disposal of infested foodstuffs is essential and should be linked with good housekeeping to limit the infestation. If you are unsure as to whether you have a stored product insect infestation, then arrange an inspection with us. Our qualified expert will conduct a thorough property survey and make suggestions for treatment requirements. We will carry out a thorough survey of your property to identify the SPI species, the level of infestation and extent of infestation. We will identify the cause of the infestation and make recommendations regarding food disposal and cleaning. 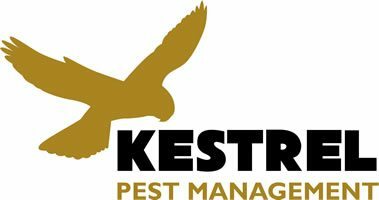 We will devise a treatment strategy using professional insecticides that give effective and long lasting results. Throughout the treatment, you will be informed of our findings and detailed reports will be left with you. We will offer free advice on how to prevent future SPI infestations. 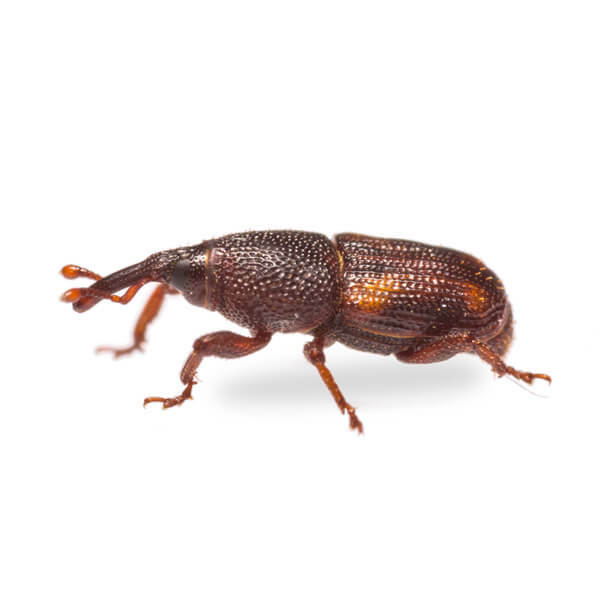 Grain and rice weevils are very small, only 3-4mm and have a distinctive elongated snout called a rostrum, which is used to bore into grains such as rice, rye, wheat, barley etc. The female bores a hole on the surface of the grain and deposits an egg, which is then sealed. The whole life cycle is then completed within the grain, meaning that grains introduced into home or business have no obvious signs of infestation until the mature adult chews its way out. When the emergence of the adults takes place, this results in a rapid proliferation of weevils, which will then migrate to infest other stored grains. Flour beetles are very small, only 3-4mm and mahogany brown in colour. They can be introduced into the home or business through infested cereal products such as oats, flour, breakfast cereal etc. The flour beetle can soon build up a significant population and will migrate to contaminate other stored foods. In home and business, they will live in the cracks and crevices of cupboards and a thorough cleaning regime linked with disposal of contaminated foods will be necessary before insecticidal treatment. They can complete their life cycle in as little as 5 weeks in ideal temperatures. The female lays around 450 eggs over several months which hatch in about a week into yellowish-white larvae. These larvae feed and develop over a few weeks and form a pupa. These pupae hatch in around one week into adult flour beetles. The whole life cycle is completed within the infested food which results in dead beetles, droppings, shed skins all contaminating the food. Flour beetles also emit bitter secretion from their abdomen which taint flour and other foodstuffs. Have a problem with stored product insects?